The silky texture of this hand and nail cream leaves hands with an exceptionally soft, non-greasy satin after-feel. It is designed to target age spots and sun damage, reduce skin creepiness, strengthen and condition cuticles and nails while re-establishing your skin's moisture barrier. Your hands will be left beautifully smooth and youthful looking, while the silky texture leaves hands with an exceptionally soft and non-greasy after-feel. Water (Aqua), C12-15 Alkyl Benzoate, Propylene Glycol, Glyceryl Stearate, Lauryl Laurate, Potassium Cetyl Phosphate, Cetearyl Alcohol, Xanthan Gum, Oryza Sativa (Rice) Hull Powder, Glycerin, Padina Pavonica Thallus Extract, Arctostaphylos Uva Ursi Leaf Extract, Commiphora Myrrha Resin Extract, Melissa Officinalis Leaf Extract, Tilia Cordata Flower Extract, Magnesium Ascorbyl Phosphate, Malachite Extract, Rhodochrosite Extract, Aloe Barbadensis Leaf Extract, Hordeum Distichon Extract, Ethylhexylglycerin, Cetyl Alcohol, Stearyl Alcohol, Phenoxyethanol, Cetearyl Glucoside, Dehydroacetic Acid, Disodium EDTA, Tocopheryl Linoleate, Benzoic Acid, Fragrance (Parfum), Tromethamine, Sodium PCA, Citronellol, Geraniol, Polyaminopropyl Biguanide, Linalool, Disodium Rutinyl Disulfate, Citral, Sodium Benzoate. 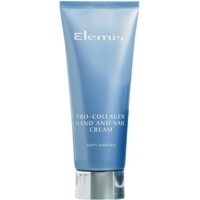 This is not only a great hand cream for helping hands stay hydrated after pro longed use it helps reduce age spots. Easily absorbed and non greasy. Used as an overnight treatment with cotton gloves on really helps relieve dryness on hands. A hard working handcream that absorbs easily. Leaves hands feeling nourished and soft. An excellent night time treatment when used with cotton gloves. pro longed use will help reduce age spots. 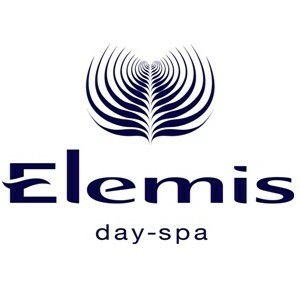 This is a really good product that absorbs and works really well but it's pretty expensive for what it is.